For most of us, sleeping is a time where we shut down everything and catch some slumber so that we can be ready for the next day. But, for some, it can be a time when they eat and talk and apparently text. This condition occurs when the human body is on autopilot and will answer the text messages, often with eyes still closed. As you can imagine, the words are often gibberish, especially with the invention of autocorrect. However, there are instances of people having full and logical conversations via text messages while they’re still asleep. •Stress: when your mind and body are stressed, getting to the deepest stage of sleep is quite difficult. •Excess daytime activity: if your schedule is exceptionally hectic, your brain may not entirely shut down at night. •Genetic: if a parent suffers from a sleep disorder, it is likely that the child could also inherit the condition. •Frequent interruption in sleep: when someone is in and out of consciousness, they’re more likely to engage in behaviours like sleep walking, texting and even waking up halfway to cook a meal. Sleep deprivation can a take a toll on you. •Avoid instant replies: It might be beneficial to wait before you check your phone and then reply. Once you develop the habit whilst awake, you’ll be less likely to respond immediately when half-conscious, as you’ve already trained yourself not to react to the buzz. 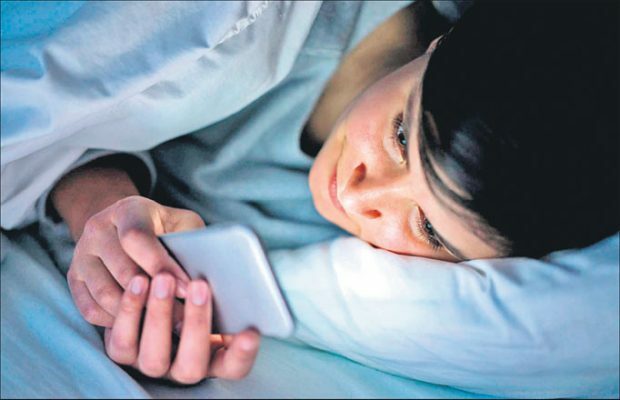 •Put your phone in silent mode: Again, this may be problematic to people who rely on their phones at night, if your phone doesn’t go off, you’re likely to send messages and it’s advisable to lace your phone at a distance when you got to sleep. •Avoid sleep deprivation: we often engage in odd behaviours when were sleep-deprived. In fact, the instances if parsimonies are more frequent when someone hasn’t gotten adequate shut-eye.